Brian McKnight has chosen PledgeMusic, the leading direct-to-fan platform, to bring his fans, An Evening With Brian McKnight. This will be his first release on SRG Records, via the ILS Group and Universal Music Group, since signing an exclusive label and distribution agreement. An Evening With Brian McKnight is a live concert recorded on January 17th, 2016 at the historic Saban Theatre in Los Angeles. The multi-camera live sound recording will be released on Blu-ray, CD, digital download, and streaming. The collection, which will be released on September 23rd, will include all of McKnight’s best known songs plus three new compositions. Fans who pre-order the CD and Blu-ray on the PledgeMusic campaign page will also get the AccessPass, which will give them access to bonus content that won’t be available anywhere else. Pledgers will also have the chance to own some very exclusive items such as: autographed CDs and Blu-rays, a custom greeting from McKnight, a limited edition poster, handwritten lyric sheet, piano transcriptions, exclusive bundles, as well as attend a VIP meet and greet experience with McKnight. 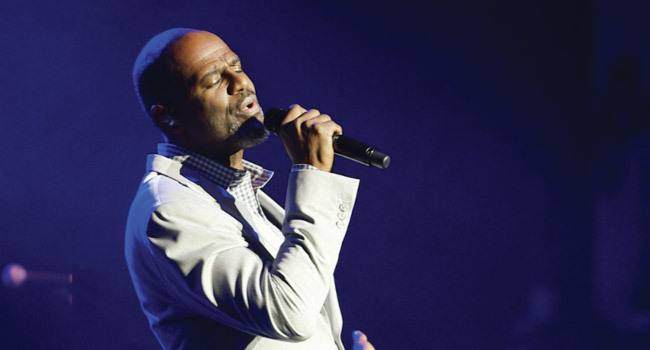 Over his 20 plus year career, Brian McKnight’s songs and albums have occupied the top of the charts resulting in millions of albums sold and dozens of nominations and awards, including 16 Grammy Award nominations. A notable solo performer in his own right, Brian has also worked with a who’s who of contemporary superstars such as Justin Timberlake, Celine Dion, Mariah Carey, and Vanessa Williams.